which is a free presentation to all architectural practices and design departments. Please see further details below plus booking form. Rooflights and architectural glazing offers unrivalled scope when it comes to creating light filled living and working environments. 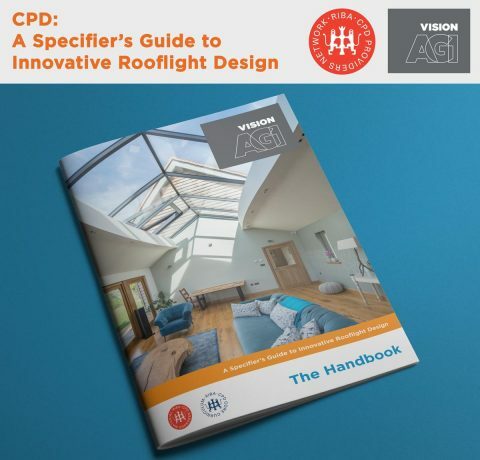 From homes to public buildings, Vision AGI leads the way with glazing innovation and we now have the opportunity to present the very latest in rooflight design and technology to industry professionals. In this 45 minute, RIBA approved, interactive presentation, we will discuss the environmental and health benefits of natural light; as well as the spectrum of glass types and their uses. Giving a visionary insight into the latest innovations in rooflight design and architectural glazing. Explore what makes a good rooflight in terms of performance characteristics, testing and certifications. We show how rooflights broaden the scope of what is achievable when it comes to designing spaces for living in the light balanced with external aesthetics. The seminar covers glass fragility and loadings and offers an insight into how we make sure we specify the right product for each project. We will also bring a complimentary corner sample of our Fixed Skylight, some little gifts just for you and of course, the grub is on us! We offer £7 per head lunch allowance, which we will pay by bank transfer upon submission of receipts. If you’re interested and would like to book a CPD, please complete the form below and submit your details. Is the course to be held at an address different from above?